With the Loire being the ancestral home of Chenin Blanc, this is where Champalou puts its entire focus. 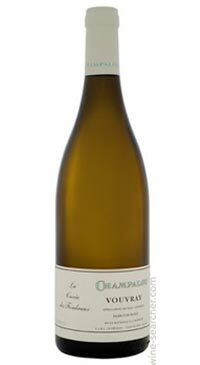 Both from winemaking families, Catherine and Didier Champalou began their adventure in 1983, and their desire for autonomy and freedom gave them the will to set up the estate. Everything started with the plantation of one half-hectare of Chenin, followed by three years of patience before the vines could produce their first crop. From the first bottling, customers began seeking out the estate. Les Fondraux has a hint of residual sweetness which gives concentration and fullness to the palate. White flowers dominate the nose and help bring into focus all of the wine’s freshness, fullness, minerality and vivacity.